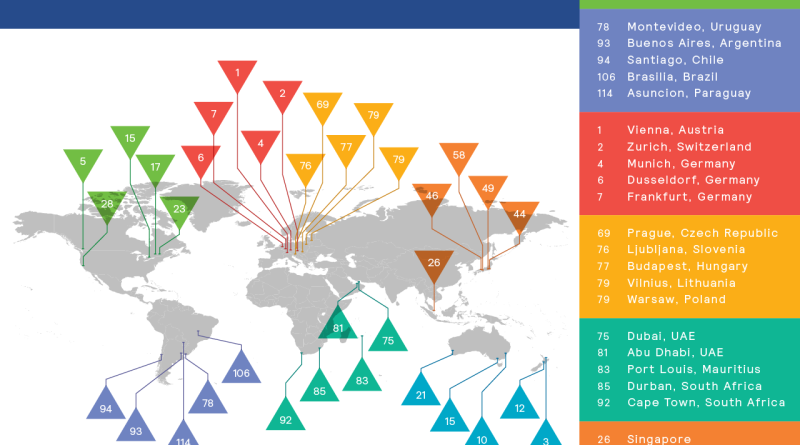 Updates and thoughts on latest city rankings and city reputation indices measuring livability, sustainability and attractiveness of cities around the world. 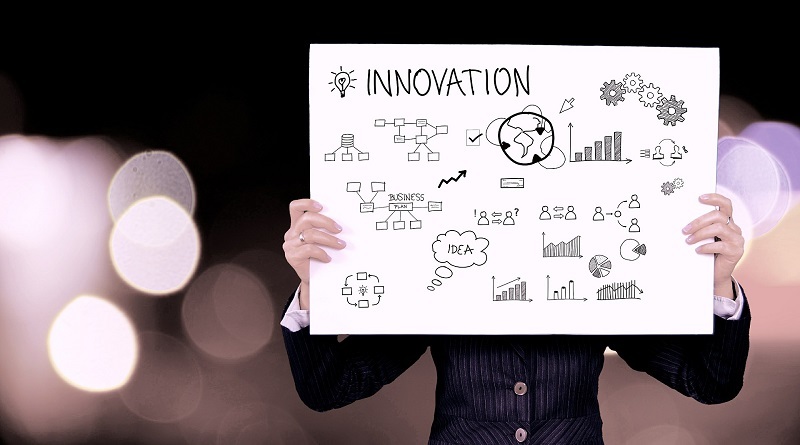 Christopher Hire of Australian consultancy 2thinknow shares three crucial insights and lessons for cities from the Innovation Cities Index 2016-2017. Place brand expert Svetlana Masjutina explains why Monocle Magazine’s annual 25 Most Liveable Cities list is her favorite city ranking. Learn about the 2016 winners, rising stars and which cities could do more for their livability and sustainability. 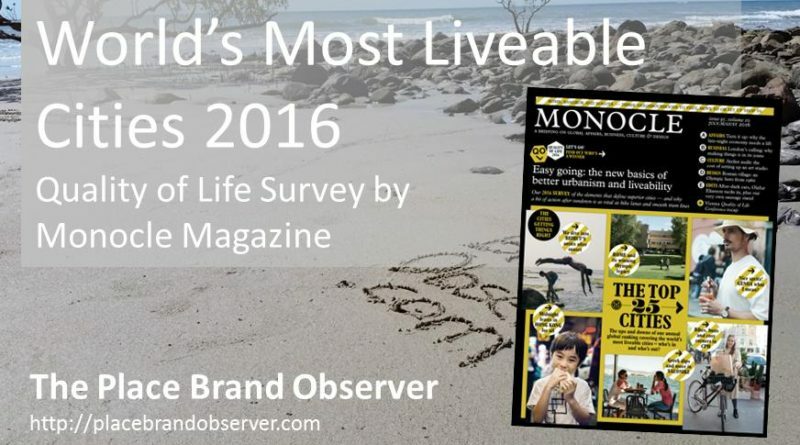 The Monocle Quality of Life Survey 2016 presents best cities to live in the world. 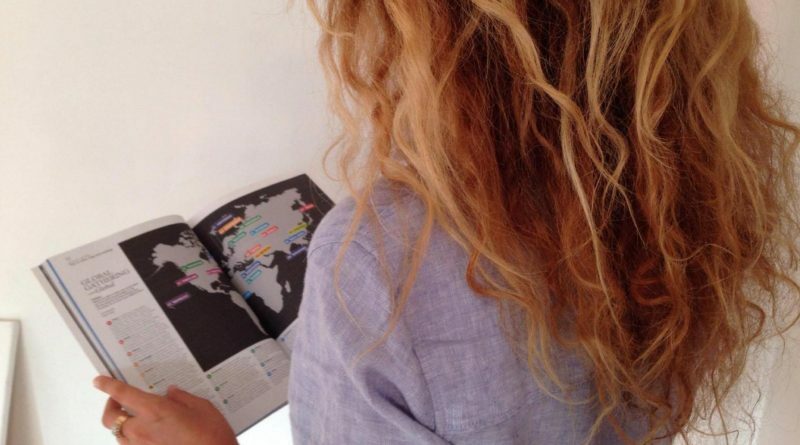 Learn more about Monocle Magazine and its annual city livability index. 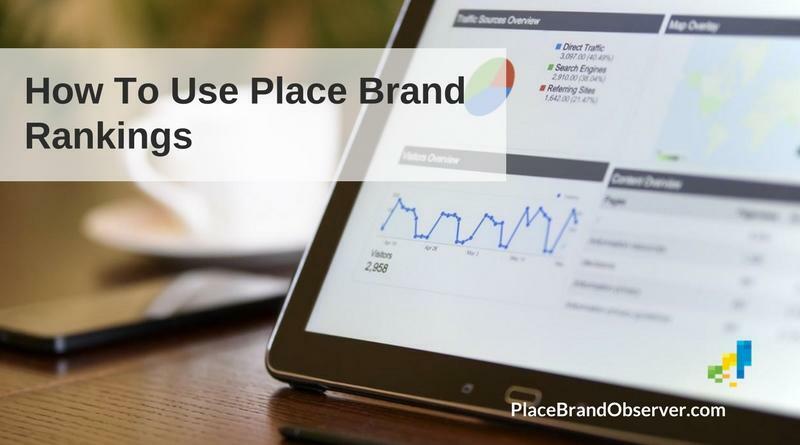 Place brand expert Svetlana Masjutina on how to use place brand rankings and reputation indices. Useful tips for city, destination, nation brand managers. Key insights from the Mercer Quality of Living Ranking 2016: European cities lead, while personal safety has become a crucial factor for livability scores.